I did not come from a musical family whatsoever but somehow, miraculously, a musician was born. I fell in love with music, all types of music, at a very young age. Growing up I studied piano for five years, French horn for 13 years, and bag pipe for a short time. Upon applying to colleges I decided that I wanted to make a career out of music but also wanted to help people in some way. Arizona State University had the perfect music program for me and there I received two Bachelor of Music degrees in Music Therapy and Orchestral Performance. In college I continued to study piano and began delving into guitar and voice. 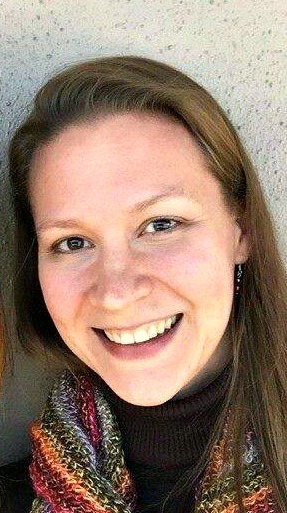 I am currently a board-certified music therapist and have provided music therapy services to patients at the Austin State Hospital, the Virginia Treatment Center for Children in Richmond, VA, the Fairfax County Juvenile Detention Center in Fairfax, VA, and the Northern Virginia Juvenile Detention Home in Alexandria, VA. When my first son was born I decided to stay home with him, however, the sweet melodies of Music Together® at Heartsong Music in Austin, Texas called me back to the musical working world. 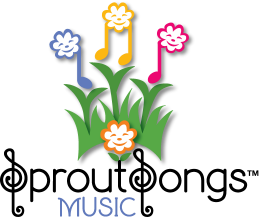 I am now a certified Music Together teacher and the Licensed Music Together Center Director for Sproutsongs Music. I have also recently been awarded Music Together Certification 2 status by the Center for Music and Young Children in Princeton, NJ. I plan to continue deepening my education in the Music Together Program and early childhood music education. Besides chasing my three boys and teaching at Sproutsongs, I also love teaching French horn and piano lessons, playing trumpet with my son, fumbling around on my ukelele, and jamming on my djembe at the Pullen Park drum circles. Originally from Ireland, I moved to the U.S in 2012. Although I am a molecular biologist with years of academic research experience, I have always played music; first and foremost with family, but in church choir, in school and girl scouts, and throughout adult life at every social gathering possible. I play classical piano, flute, and guitar. Facilitating music in my community is so close to my heart and I love to make music possible for everyone, especially children and the elderly. My wish is that music is as accessible, fulfilling, natural, and enjoyable for everyone, as it is in my life. I truly believe that a life of music is seeded early with family, but it is never too late to start participating in music. Music Together struck a massive chord with me when I discovered it while living in Vancouver, Canada, where I received my training. After teaching many semesters of the Music Together program and having the desire to deepen my knowledge of early childhood music education, I recently attended a specialized training in Charlottle, NC. There I was awarded Music Together Certification 1 status by the Center for Music and Young Children in Princeton, NJ. My community music experiences include assisting a music therapist with music programs for seniors with dementia, playing with amateur groups at care facilities and community events, leading sing-alongs wherever I go, and also teaching accompaniment for traditional Irish music. I play traditional Irish music on guitar, whistle and through song, and I can be found playing at local Irish music sessions in the Triangle. Music has always been a balm for my soul, even as a young child I found music to be comforting, I was a very shy child but loved singing and performing behind closed doors and anytime water was running. I played piano for several years and took up the trumpet in middle school where my love for music continued to grow. From there, I performed in musicals in my high school. I have always had a passion for young children and spent many hours babysitting and volunteering in the church nursery. This passion led me to major in Elementary Education at the University of North Carolina at Chapel Hill. In my time as a public school teacher in Hillsborough, NC and Charlotte, NC, I found that music was a great way to calm students, to teach students new concepts, and to simply be silly with them. A friend of mine invited me to come to a Music Together class in Charlotte with her and her baby. I did not have any children of my own yet, but I immediately knew that this program was my new calling. I decided to train to become a Music Together teacher in 2003 and had the privilege of training with Susan Darrow. I have been teaching on and off since 2003, both in Charlotte and in Raleigh. I have three children who have all participated in Music Together classes and have grown up loving music. I am currently wearing several hats of being a wife, mom, homeschool teacher, and music teacher. I also sing on the worship team at my church, am involved in children's ministry, and am trying to learn to play the autoharp! I love to sing and dance and have as long as I can remember. Harmonizing with my sisters, singing camp songs, and making music with my aunts and uncles are some of my fondest memories. During my youth I participated in choirs, musicals, a vocal jazz ensemble, and a garage band. Now I enjoy making and sharing music with my family and friends. Both of my children and I have attended Music Together classes over the past four years. Along the way, I picked up the ukulele and regularly make up silly songs and dances with my daughter. 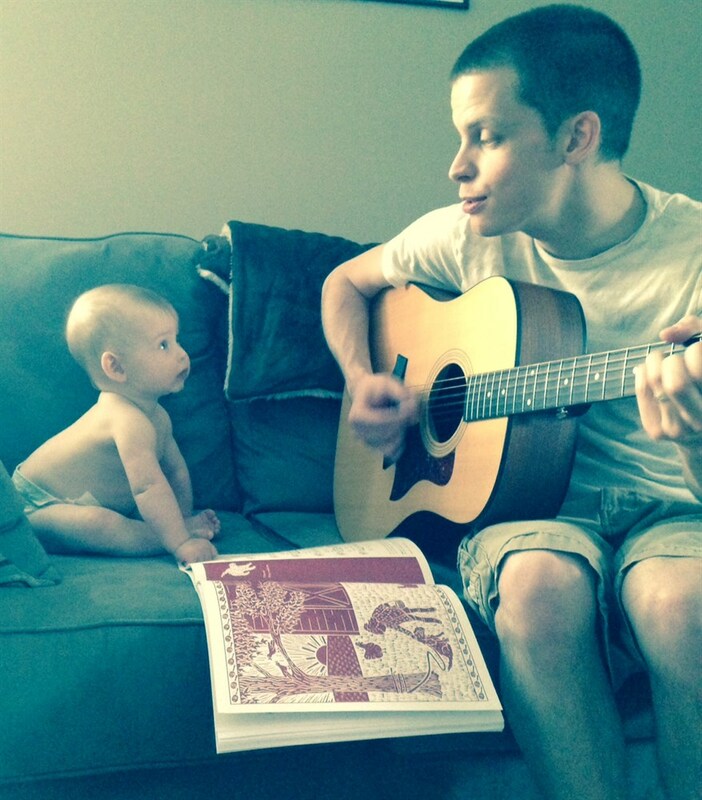 My son and I love to mash-up nursery rhymes and pop songs that share the same chords. I was led to become a registered Music Together instructor because I have a passion for educating children using music, movement, and play. I believe every child is musical and I receive great joy nurturing and building their music and movement skills. When I am not making music or chauffeuring my children between activities, I enjoy creating textile designs and jewelry, working in my garden, cooking delicious meals, and leading boot camp workouts. I am also a co-founder of PORCH Raleigh, a nonprofit that collects donations to provide food insecure children with healthy meals and snacks. I was first introduced to Music Together® in 2013 when a family across the country gifted my children a semester of classes. As a mom of two toddlers I recognized after only a few classes how amazing and important the program is not just for my own children but for all children. I spent much of my time as a child and young adult participating in school and community theater and local and regional choir. I also studied music theater at the Shenandoah Conservatory in Virginia. I completed the MusicTogether Teacher Training in Winter of 2015. In addition to teaching and being a center Director for Music Together of Fayetteville part-time, I am also a full-time wife and mother to two children ages 7 and 5. A Raleigh native, I have also lived in Tennessee, Illinois and Germany but I am delighted to once again call North Carolina my home. I am so thankful to my parents for providing a rich exposure to music in my childhood. Growing up, my family always treasured making music together and hearing it performed. I have played the piano and sung in church choir and choral ensembles since childhood, and I picked up the guitar a bit in college. I grew up enjoying dance and recently enjoyed a year of ballroom dance lessons with my husband. I love to sing with the choir and worship team at church. I have an interest in foreign languages, and studied German and Linguistics in college, going on to get a Masters degree in speech-language pathology. I have worked as a speech therapist in schools, private practices and in home/daycare and skilled nursing and rehab settings. My experience in working with families in these settings lends itself well to leading music classes, and as it turns out, Music Together works the foreign language part of my brain out a bit, too! I am currently fulfilling the dream of having my own family and raising our two young boys. I discovered Music Together when a friend invited me to bring my son to a demo class, and it was like someone lit a match and set fire to the musical part of my heart again. I want to share that joy with you and your family. I was introduced to Music Together at the teacher training in the summer of 2016. I was instantly hooked on the methods and beautiful musical training and community it embodies. As a former Montessori pre-school teacher I have always incorporated music and the love of singing into my curriculum. Even though my parents did not play instruments, they sang to us and gave us the passion for music. We all took piano lessons, played in band, played handbells, and sang in the church choir. I still continue that passion at my home church in Cary and create music with my husband and three children. When I am not singing and playing music, I am driving my kids to activities, running trails, crocheting, and spending time with my family and friends. I am so excited to join Sproutsongs to create music, and to move and play together! The real teachers are the parents and caregivers! Children are biologically wired to respond most to the model of the people with whom they have a bond of attachment.